Photo by Steve Marcus/Getty ImagesConor McGregor. Conor McGregor’s coach says there is one opponent out there who will “bring the best out of him,” after the Irish striker was submitted by Khabib Nurmagomedov at UFC 229 on Saturday. McGregor and Diaz have fought twice before. Diaz made McGregor tap in a two-round blowout at UFC 196, before McGregor sought his revenge with a decision win at UFC 202. 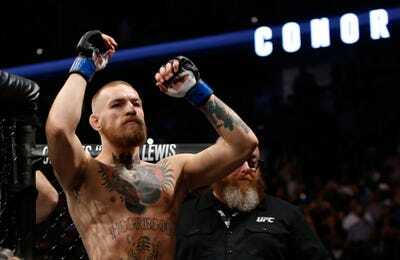 It is unclear who McGregor will fight next, as he is desperate to challenge Nurmagomedov again. But one thing is for sure, McGregor will be back – and he will likely be back next summer. Conor McGregor wants a rematch against Khabib Nurmagomedov but there is an alternative opponent who would “bring the best out of him,” according to his coach John Kavanagh. McGregor was out-struck by Nurmagomedov, dropped in the second round, and eventually lost when the Russian wrestler submitted him with a tight neck crank in the fourth round of their wildly-entertaining UFC 229 brawl on Saturday. The next day, McGregor tweeted that he was “looking forward to the rematch” and later claimed that he “won the battle” and that the war with Nurmagomedov is not yet over. McGregor has alternative options and Kavanagh believes there is an opponent out there who is a “great personality match-up” and a “great skill clash.” That opponent is McGregor’s old rival, Nate Diaz. Rey Del Rio/Getty ImagesMcGregor and Nate Diaz are 1-1 from two thrilling fights so far. McGregor and Diaz have fought twice already. 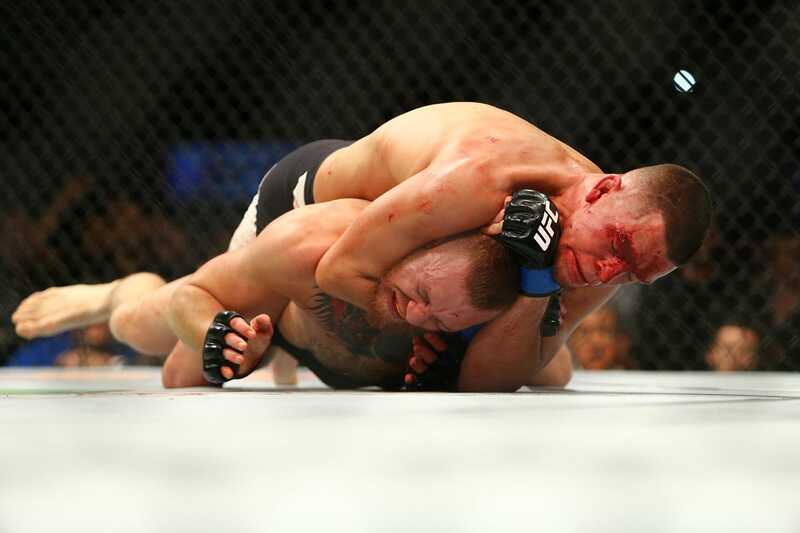 McGregor lost in the second round of their first ruck when Diaz made him tap to a rear-naked choke at UFC 196 in March, 2016. But McGregor evened the score four months later when he won a five-round decision at UFC 202. Kavanagh, a second-degree black belt in Brazilian jiu-jitsu, said: “I’m a grappler at heart, but I know a jiu-jitsu tournament will put you to sleep. But anybody can see a punch hitting someone in the head, and them falling down – that’s exciting. Though it is a fight that excites Kavanagh, it is clearly not McGregor’s first choice as the 30-year-old wants Nurmagomedov again. “Definitely the Khabib one, that’s the fire,” Kavanagh said. 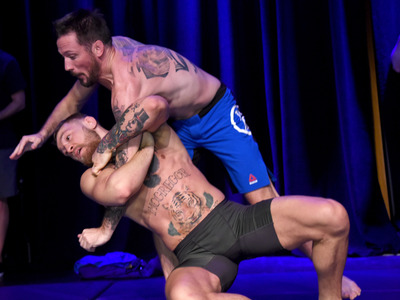 Getty ImagesJohn Kavanagh with McGregor. It is unclear when McGregor will return to full competition. He was recently given a medical suspension, which means he will be unable to fight until early November, and won’t be permitted to engage in contact training, including sparring, until the end of the month. Kavanagh hoped for an event on March 16, one day before St Patrick’s Day, at a venue like Madison Square Garden in New York City or the TD Garden in Boston. But he suggested a more realistic timeline would be next summer.